EN: I normally choose bright and light colours for my outfits, but I just couldn't resist this gorgeous dress by Joanie Clothing London! 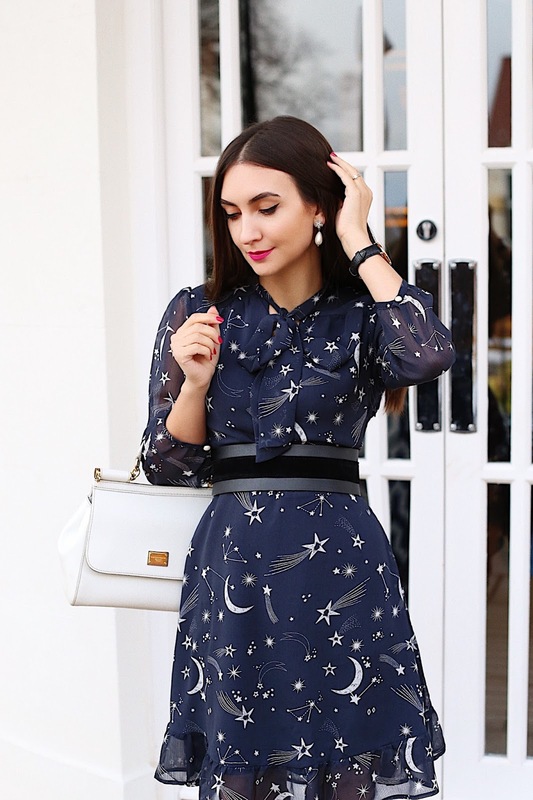 Stars and space motifs are very popular this season, but this is the best print I've seen by miles! It also has my favourite sleeve length (3/4) and a cute pearl button fastener. The style is very feminine and a bow adds a bit of volume to it. By the way, keep in mind that they have a blouse with the same print as well!